One of the best things about our tour of Africa is that WE’RE IN AFRICA! For as long as I can remember I have wanted to come here to see the animals and today we took a drive through Lake Chivero Wildlife Park with the hopes of doing just that. 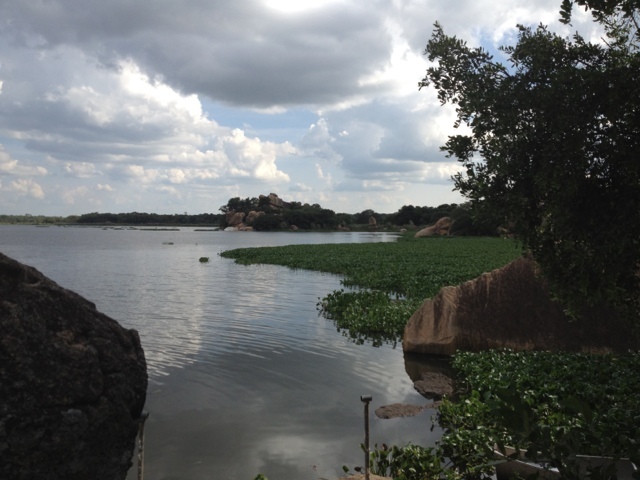 Things started slowly–we spotted some monkeys on the way into the park, some road runners, and then nothing for a while aside from rocks or tree stumps that we mistook for animals. On one such occasion I turned around to reach for a water and saw a baboon strutting along the tall grass. 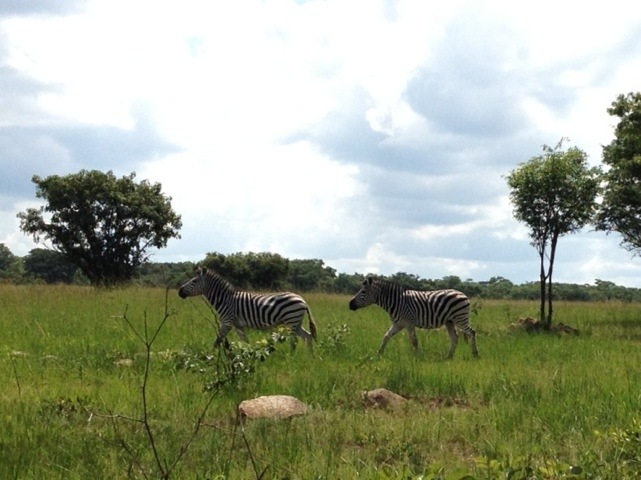 After straining to see him in the bush, we drove for a half hour along the bumpy dirt road misidentifying inanimate objects until our host, Jillian spotted zebras in the distance! It is hard to see their stripes from far off because the intense African sun reflects so brightly off the white in their hides that they seem to glow. There is such a thrill in looking for animals in the wild, not knowing if you’ll see any at all and feeling so lucky when you do. 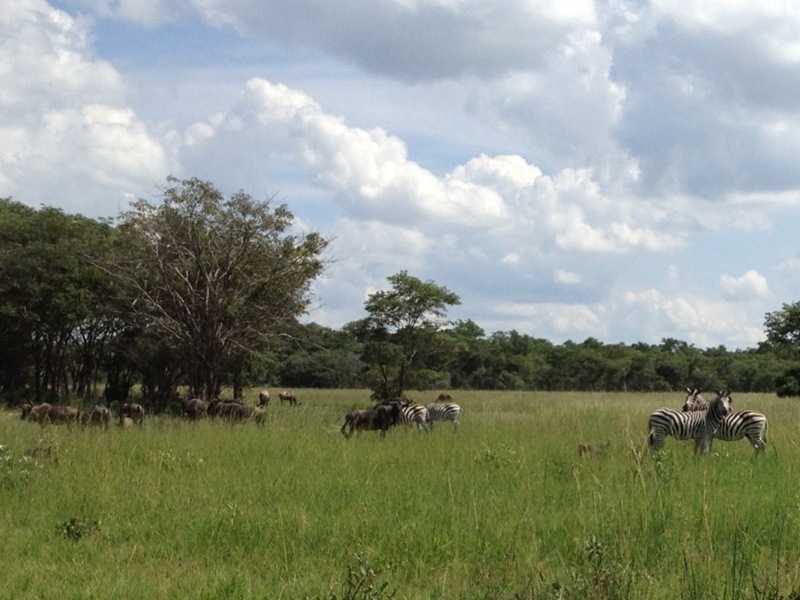 It wasn’t long after that we found a couple warthogs and then a huge white rhino! We eventually came to a point in the road where half a dozen zebras were grazing along side wildebeest, impalas, and some other sort of large deer. 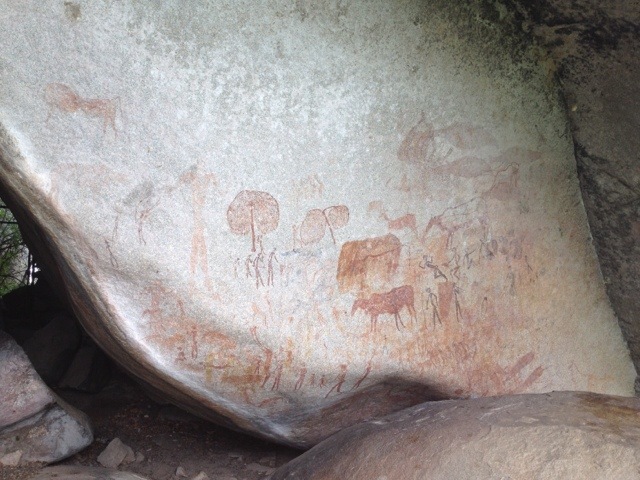 We stopped for lunch at the lake and saw rock art and dozens of lizards. On the way out of the park a couple of cars were stopped on the road and we realized that an enormous rhino was grazing only a few meters from the road. What a prehistoric beast! I think drivers were stopped to look, but also reluctant to pass seeing how the rhino was facing the road and bigger than the cars they were driving! We saw several more baboons on the drive out, as well as guinea fowl and more monkeys. It was an awesome experience.